Nothing says Texas better than BBQ, and that’s where General Electric chose to hang its hat at SXSW, with a BBQ Research Center a short walk from Austin’s Convention Center to lure the hungry crowds. Hard to miss with its 12-foot super smoker, the firm said it was seeking whether it could use sensors and biofeedback to engineer the perfect plate of ribs. 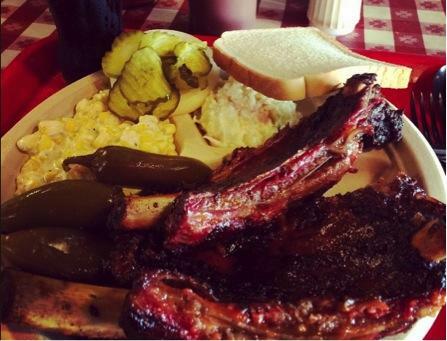 Indeed, for three days, SXSW attendees were enticed to see, smell, and taste barbecue as GE’s scientists dissected the experience through the lenses of chemistry, biology, neuroscience, physics, material science, and analytics. The huge Super Smoker, for a start, was packed full, not just of meat, but of sensors and gauges to track the temperature, levels of smoke, and humidity inside each of its three cooking chambers in real-time. Pit-mastered by GE’s chemical and robotics scientist Lynn DeRose, the impressive structure was also fashioned from both steel and unconventional tubular laboratory glassware. In the BBQ tasting room -- “Brain on BBQ” as GE dubbed it -- tasters were asked to wear electroencephalogram (EEG) headbands to pick up their brainwaves as they sampled the smoked delicacies. This, the firm said, was so the data could be analyzed to see if there were any insights to be had about flavor nuances and people’s preferences. GE was also encouraging participants to play with their food, in its interactive chemistry lab, where science was applied to BBQ-sauce making. If desserts are more your thing, this station also allowed participants to dabble in making liquid nitrogen ice cream with barbecue-inspired toppings including brisket powder and edible jalapeno glass. Beefing up its academic credentials, GE also hosted daily workshops and lectures by University Distinguished Professor at Texas A&M University Meat Science Department, Dr. Jeff Savell, whose rather unique university program is dedicated to the pursuit of better BBQ. The whole experience was geared to showing off GE’s R&D chops, and how the firm can enhance almost anything it turns its hand to. Indeed, with almost 4,000 scientists and engineers on staff, proving it can improve even the humble BBQ certainly doesn’t sound like a lot of bull.